"Small and minority-owned businesses have a chance to expand product sales through a partnership with Overstock.com, the Salt Lake City-based online discount retailer." As you'll notice on this site, the company says that the program "is designed to increase the visibility of small and minority-owned businesses which currently lack exposure to national markets. By joining our network these small businesses can reduce their supply chain costs, and open their products to a mass audience." More information is posted there. Anyone out there tapped into this yet? Lately we’ve had a bunch of questions from clients who are authors or aspiring authors. Here are some resources related to publishing your work. If you are hoping to get the attention of the publishing houses, you may need a literary agent. Agent Query describes itself as the “the internet’s largest and most current database of literary agents.” Search by keyword, nonfiction or fiction genre, and you’ll get lots of results. Not sure if you need an agent or need help choosing one? The Science Fiction & Fantasy Writers of America offers a helpful article and resources on literary agents in their “Writers Beware” web pages. We’ve also just purchased a copy of the 2010 Children’s Writer’s & Illustrator’s Market which is full of helpful guidance and lists of agents and publishers, etc. Decide to forgo traditional publishing and self-publish? Search for articles about self-publishing at the Independent Book Publishers Association. Federal Reserve statistical releases and historical data have been divided into two pages: Statistics and Historical Data and Surveys and Reports. FormNet® is a tool designed to save you the time and expense of creating business documents from scratch. You can download and customize each form according to your needs, and immediately put them to work in your business--all for free. Areas covered range from Accounting to Human Resources to Office Management to Starting a Business. All free checklists, worksheets, forms and questionnaires. The Earth Day Green Business Guide is a document from Business.gov, the official business link to the U.S. Government. * Licenses and Permits - Do You Need an Environmental Permit? Both of the sites are totally free, with powerful search engines, large document collections, and many features that other sites lack, including PDF downloading. Here's an unusual article from the journal Psychological Science that might have no immediate use by any of your clients, but I'm sharing it nonetheless. A study from the University of Toronto argues that certain people, when simply exposed to green products (either in a market, or in advertising), act more altruistically and generously than those who actually buy the same product. This is an extension of what's known as "priming," whereby consumer behavior can be influenced by exposure to imagery - for instance, seeing the Apple logo inspires creativity in some folks. The authors argue that green products, marketed to promote a higher sense of social responsibility, are meant to inspire within the consumer the motivation to do good works. Conversely, they also argue that consumers who act on this exposure are the equivalent of the person who runs a 5K, then goes home and eats three Big Macs as a reward for their good work. Through a series of experiments, they noted how participants were more than willing to lie or steal in the immediate wake of buying a green product. See the green product, and feel a boost in your moral self-esteem. Buy it, and you feel like you have moral capital to spend. I find this stuff fascinating, but, again, I'm not immediately sure of what lesson our business clients could learn from this. Boost security around the store, I guess, if the target market is the green consumer. One of the most useful and interesting publications that I read every month is Searcher: The Magazine for Database Professionals. Each issue contains guides to the best resources available for different industries, as well as information on how to find certain types of documents (i.e. dissertations) or where to find information on interesting topics (i.e. Dutch Libraries). The March 2010 issue contained an article titled Environmental and Alternative Energy Information Sources: Part 2: Government Information, Resources, Metasites, and Web Directories. Below is a partial list of the links provided in the article but the entire article is well worth reading and the website above should be checked out. Federal Government Spending - Who makes what? FedSpending.org is a database from OMB Watch that is designed to give journalists, analysts, government officials, and regular citizens easy access to information on federal spending. The website tracks government spending, whether it's through contracts for products and services, grants and loans, or other forms of assistance (including Social Security, veterans' benefits, etc.). The data can be as summarized or as detailed as you like - you can even get minute details on each individual government contract transaction. In the upper left corner of the website, there are three tabs labeled Contracts, Assistance, and Recovery. Select what type of spending you are interested in and click the tab. There are multiple criteria to choose from in basic and advanced search options and though the search was slow, I imagine the database has an extreme amount of data it must search. I clicked on New York State and below is the resulting data on contracts awarded in FY2008. Competition summary for entire search for fiscal year 2008. This total is 2.4% of all awarded dollars for the fiscal year. Looking for business or other software? Try Capterra, recommended by a business librarian. You can use the browse feature on the left navigation bar OR search for what you want. Is the recession over? Unfortunately, no. Are certain aspects of the economy improving? YES! It's Alive! - Consumer spending, the dollar, GDP, and the stock market are all headed higher. The economic story is much more encouraging than it was just one year ago. But that doesn't mean the recovery is complete. Job Market Brightens as U.S. Payrolls Surge in March - The clouds have parted. After more than two years in which more than eight million jobs were lost, the country’s non-farm payrolls surged in March. Employers added 162,000 jobs last month, and employment numbers in the previous two months were revised upward. Nationwide, the unemployment rate held steady at 9.7 percent. To many ordinary, out-of-work Americans, the recovery may finally start to feel real. Recession Survival Guide for Small Business - Even the most successful small business will feel the challenges of the rough economic conditions. 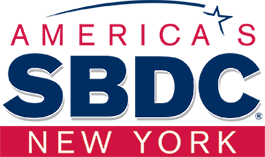 This guide presents tips, techniques, and experiences from NYS SBDC business advisors, many of whom are small business owners as well. These can be applied to any type or sized business. April 1 is National Census Day and by now we should all have received, completed, and returned our 2010 Census forms. Because just by answering 10 simple questions, we can all directly affect the quality of life, services, and job creation in our communities. To help ensure communities are counted, the U.S. Census Bureau is asking small businesses to voluntarily raise awareness and advocate the importance of the 2010 Census with its 2010 Census Partner Program. If you like maps, I'd recommend checking of the Department of Environmental Conservation's page of Interactive Online Maps. There are also maps for Chronic Wasting Disease, environmental resources, mineral resources, and environmental facilities.